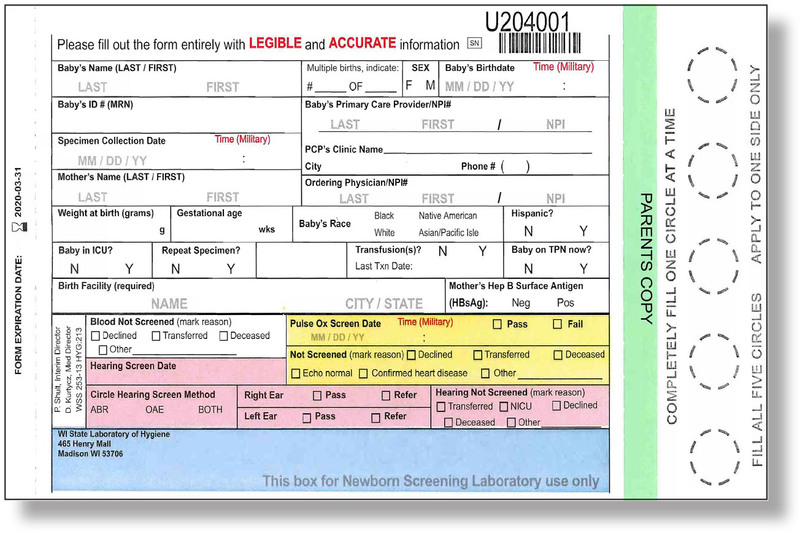 The Wisconsin State Laboratory of Hygiene (WSLH) conducts all newborn screening testing in the state. Specimens must be collected directly on a special filter paper card available from the WSLH (see below sample card). IE and Chrome users will be able to fill in the form online. Firefox users will need to open in Acrobat Reader (a free utility) to use as a fillable form; or, print out a copy to fill in. For current pricing, call 608-262-6547.